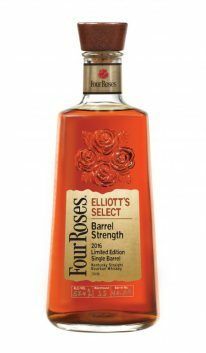 Yesterday I spent the afternoon at Four Roses sampling the new Elliott’s Select with master distiller Brent Elliott himself. Sometimes I have to pinch myself when I find myself in these situations. Not only is the bourbon absolutely fabulous, but Brent is a mellow, down-to-earth dude who would make the perfect drinking buddy whether tailgating at a Cards game or sipping manhattans at a grand gala. Anyway, on Friday (June 10), you, too, can hang out with Elliott and sample his latest release at a pop-up tasting event. The catch is, the location won’t be announced until 4 p.m. that day via a Facebook live chat. Only 50 people will be admitted, so listen carefully and be prepared to head that way from 5-7 p.m. … wherever that may be. Check out the Facebook event page for details. Trust me when I say, the bourbon is worth it. And I guarantee there will be cool Four Roses swag you can grab for your downstairs bar. Elliott’s Select will be available later this month at liquor stores around the area.